I was hoping to stay away from quoting Donald Trump or someone in the Trump administration. I really wanted to find an environmental-related quote, and promise to do at least one on that important topic before the year is out. However, I can't promise it will be a non-Trumpian. 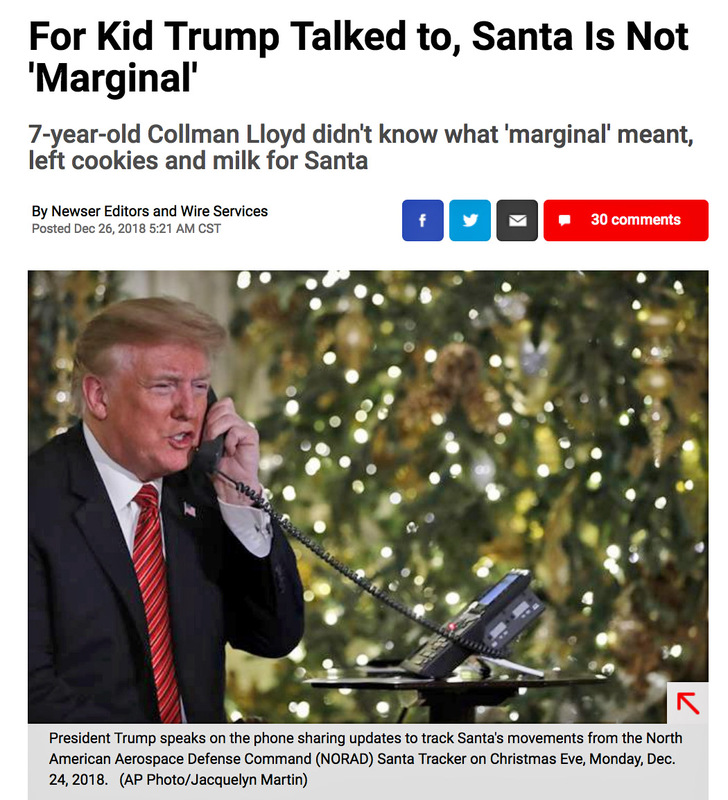 So, without further ado, here's what Mr. Trump said to a 7-year old on Christmas Eve about Santa and whether or not he is real. "Are you still a believer in Santa? Because at 7, that's marginal, right?" To some people, this would show how socially inept Mr. Trump is...but I'll let you make that call. I hope everyone had a Merry Christmas and has a very Happy New Year...although statements like this don't bode well for a non-rocky road ahead regarding American politics. Here's an update from later in the day...and it has everthying to do with the environment! It's Dan Rather asking about Trump's disbelief in climate change at 72!